Before summer officially ends, let’s have our last barbecue! 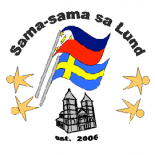 Sama-sama Sa Lund will have a Pinoy-Swedish Barbecue event, as part of this month’s activity for the Filipino-Swedish Cafe, a series of cooking workshops as part of Sama-sama Sa Lund’s Integration Project 2014. Grilled or barbeque food is best served and eaten during summer season. Even though summer is ending here in Sweden, the next cooking workshop will focus on grilled food (“inihaw” in Filipino or “grillad” in Swedish). 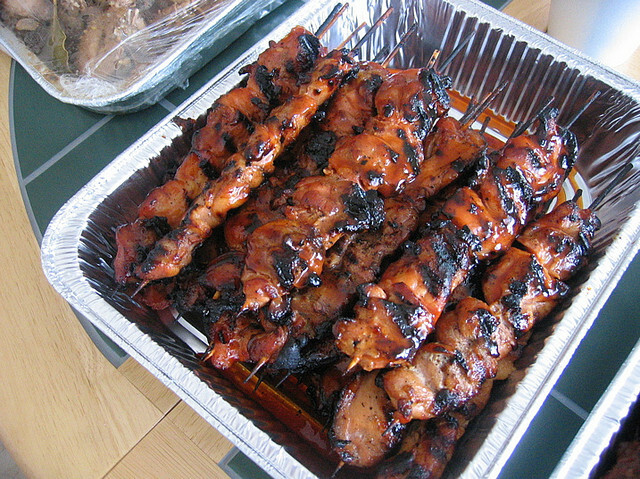 We will be demonstrating the Filipino way of making marinade and sauce for our pork skewers. Also, we will grill unconventional Filipino dishes such as “isaw ng baboy” (pork intestines), “atay ng baboy” (pork liver) and “Adidas” (chicken feet). These are normally eaten as “pulutan”, or dishes that go along with your favourite cold beer. Plus, since we normally grill seafoods, we will also have a fish dish called “pinaputok na tilapia.” Of course, we will also have the Swedish barbecue staples, such as sausages! Cost: Zero! Nada! This is for FREE, just like all our other Swedish-Filipino Cafe events! Come on, let’s have a different kind of barbecue.. 🙂 See you there, and we’ll eat isaw and Adidas together! This entry was posted on August 20, 2014 by Sama-sama Sa Lund in Filipino-Swedish Cafe, Food, Integration and tagged barbecue, filipino food, isaw, pinoy barbecue, pinoy food.